Costa Rica-based online gaming supplier Real Time Gaming (RTG) is bringing revolution to iGaming! The manufacturer’s design and creations have reached a new high and its latest release called Cubee is the embodiment of slot evolution. 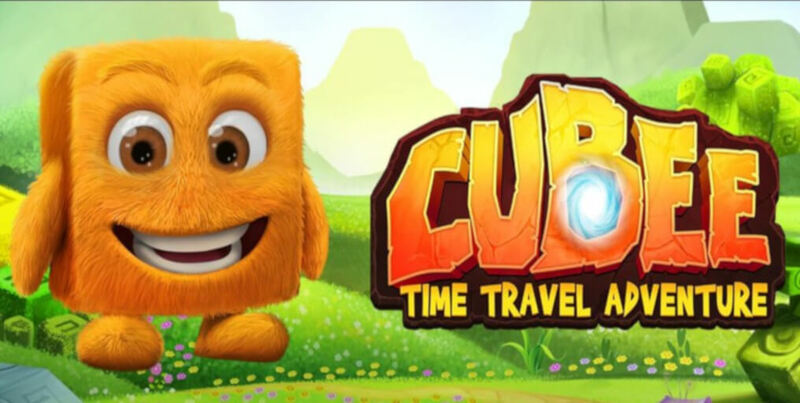 Many an online gambling expert has called Cubee the online slot the “weirdest, most peculiar game by RTG to date”. So let’s see what’s oh so special about it. To start with, Cubee is certainly something different from what you are used to. It is RTG Asia‘s innovative approach to time travelling mixed with a fluffy friend that will take you on the adventure. Although adorable and innocent-looking, Cubee will eat energy balls and actually beat Rocco the Cyclop in order to move on in time. We are not kidding! Cubee the slot has no classic reels or paylines, and the wagering is placed across the entire grid. The betting range goes from 1.00 to 20.00 per spin, and you get to collect less frequent but incredibly large wins. Every following Age, or the level of the game, will get you closer to Cubeeland, Cubee’s home, which is your final destination. The whole game is accompanied by upbeat music and spinning and twirling sound effects. Cubee is a high volatility slot that allows up to 50,000x your initial bet per line. This cartoon-like game encompasses a whole scope of historical eras such as the Stone Age and the Viking Age, all the way up to the future. In each round, you will collect symbols that correspond to the theme. At the time of Vikings, for instance, your aim will be to fathom as many bows and arrows as possible. The presence of pirates will render a plethora of canons, rum bottles and imposing ships. What all of these symbols do is turn into Free Spins or Multipliers, depending on what age you are battling with at the moment. With every completion of the level, Rocco’s energy will go down, and once it is completely emptied, you become the winner of the game.